I am just telling you how i had done this and also to put my technorati token which is ZJ9STVXYHZQV. Technorati.com is a leading blog search engine and directory with over one million blogs in its index competing with Google and Yahoo!. The site has become a source for trending and top stories, videos, and photos and so on. Search engine optimization (SEO) as well as more traffic to your site can be achieved by adding a blog to Technorati blog directory. Technorati allows blog owners to claim the ownership of their blogs and get their blog listed in the Technorati directory and they will also fetch and display your latest blog post on their site. NOTE : First Make sure you know your RSS Feed Link. Step 2: Log into Your Technorati Account or Create a New Account. Remember, if you have multiple blogs, setup the profile in your personal name, and you can claim all of your blogs under the one profile. Step 4: Copy the 12-digit technorati claim token and Paste it into Your Blog. Scroll down to towards the Bottom of this page until you get to the “My claimed blogs” section. Enter your blog URL in the “Start a blog claim” box and click the Claim button. Step 5: Fill the Form that comes up appropriately. Feed url (to find this, simply click on the RSS Feed button on your blog. You can then copy and paste the RSS Feed url. 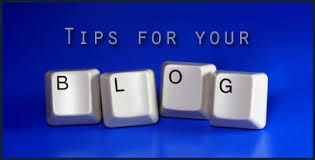 Linking blogs. This is optional, but helps establish the strength of your blog. Up to three can be entered. Site description. Up to 1000 characters, where you can profile your site content, history and authors. Site Categories. Choose up to 3 categories from 40 available. This helps put your site where it will be found. Site tags. Here you can enter up to 18 site tags, to help your site be found. Enter the correct details and click the “Proceed to next Step” button. Step 6: View Your Claimed Blog Once your blog claim is completed, your blog listing on Technorati is much more comprehensive, making it easier for people to find your blog in Technorati blog searches. Note :- Once your blog get updated on Technorati then you can delete this published post with Technorati Token Code. Please take note of the tips below, this is where most bloggers get it wrong. Take the given claim token and put it at the beginning of a new blog post on your blog. Click the verify button and if I am right, the Technorati bots will tell you they can’t find the code, they may even say that may be Their so called bot is blocked by your Robot.txt file. If you get the above verification error, don’t panic. I have discovered that it is either their bots are blind or too dumb to detect their very own Claim Token. Thank you so much for sharing a lot of this good content! I am looking forward to seeking more!